Home » Joannes Used Books » More Magic For You by Sorcar, P.C. 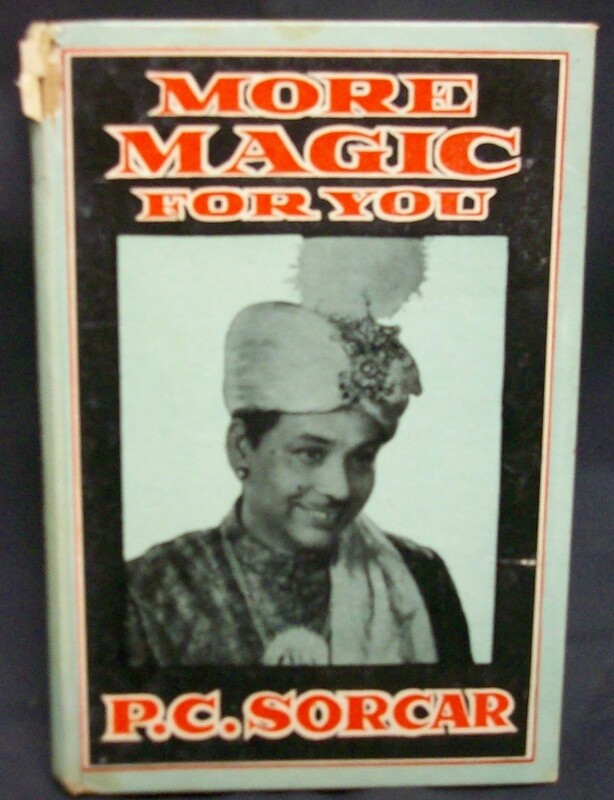 More Magic For You by Sorcar, P.C. $200.00 This item is selling for $200.00 on eBay. Present your best items with Auctiva's FREE Scrolling Gallery. More Magic For You by Sorcar, P.C. Indrajal, stated first, 1965 Hardback in good condition. Text is clean and unmarked, binding tight, some slight tanning of pages due to paper used and age. Cover is acceptable its clean however there is some damage at top and bottom of spine otherwise clean. Sorcar brought the magic of India to the rest of the world. His advice was don't learn every trick, lean a few and do them well and never expose your trick. This is his second book the first being Magic for You. Loaded with unusual tricks, this title is hard to find. B W illustrations as well as color photo of Sorcar, 176 pages, index Powered by Turbo Lister The free listing tool. List your items fast and easy and manage your active items.